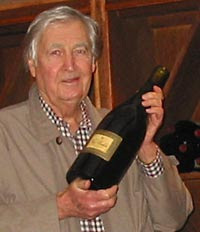 Legendary Santa Barbara vintner and TV icon Fess Parker passed away yesterday at the age of 85. The Texas-born Parker first made his name during the dawn of the TV era playing Davy Crockett, serialized on the popular Disneyland show. Parker followed that in the 1960s with a successful run on TV's Daniel Boone. By the late 1970s, Parker was focusing on real-estate investment in Santa Barbara and developed numerous projects over the years. In 1989 Fess and his family turned an interest in fine wine into an adventure now 20 years in the making. The Fess Parker Winery is a highly regarded and popular destination on the Foxen Canyon wine trail in Los Olivos, CA. The family also farms over 300 acres of vineyard in the Santa Ynez valley. Creating a successful business with his family was one of Fess' proudest achievements. Parker and his wife, Marcella, marked their 50th wedding anniversary in January of this year. He had remained active up until a year ago when his health began to fail. Tim Snider, who is married to Parker's daughter, Ashley, is president of the winery and has been overseeing day-to-day operations. I've had several very nice Fess Parker wines and, of course, being 65, I remember the Davy Crockett and Daniel Boone days. How nice to hear of a marriage lasting fifty years! Happy 65! Thanks for posting nice wines here! Will keep reading.